Payload bays block off the air flowing through the tube, protecting the delicate payload from the heat of the ejection charge. Electronic bays are made to keep deployment and tracking devices and allow easy access to the content of the bay. A typical scenario where you need to use the altimeter bay is a dual-deployment rocket. 1.9" Airframe Payload Kit. 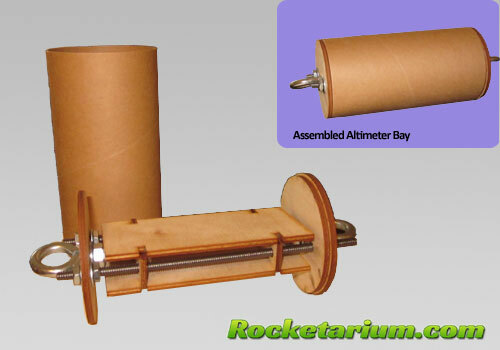 Extend your 1.9" kit with this payload section. Includes: 9" long x 1.9" diameter white airframe, Coupler, Bulk Plate and Eyebolt Set. Standard 4" Airframe Payload Kit. 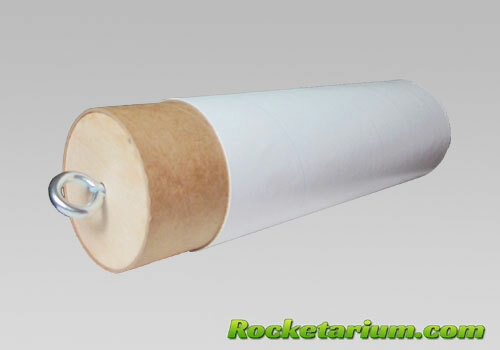 Extend your 4" kit with this payload section. Includes: 11" long x 4" diameter white airframe, 8" Coupler, Bulk Plate and Eyebolt Set.